Sherrill Sims takes great care in serving each client with individual attention, enthusiasm, and insightful awareness into the critical details of the Greater SWFL real estate market. She truly loves the region’s lifestyle and is delighted to share the special features of the wonderful and friendly communities of the islands of Sanibel and Captiva and the Fort Myers area. In helping a client to find their dream home, vacation home, special waterfront setting or sell their distinguished residence, Sherrill is very deliberate, strategic and skillful when advising them. As a GRI (Graduate Realtors Institute) and in working together with her teammate John Bates, she takes every measure to accurately address each important issue of the transaction and serve her client’s specific priorities. Sherrill’s clients enjoy her personal touches and find that her warm and friendly personality is very present in everything she does on their behalf. She truly cherishes the rich and personal interaction with each client and it is her joy to orchestrate the most rewarding real estate experience possible. Her immediate accessibility, answers to timely questions and trusted counsel makes her invaluable to her clients. 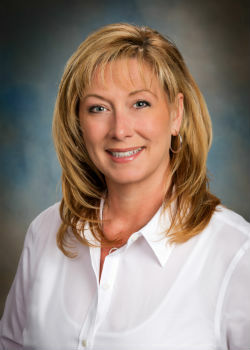 Sherrill ultimately ensures that each client receives outstanding personal service and representation in her efforts to accomplish and make their real estate dreams come true! Sherrill’s community service and volunteer activities are in the following areas: Member of the Captiva Hurricane Response and Preparation Committee, past Commissioner for the Captiva Erosion Prevention District working to restore beaches, past Structural Safety Inspector with the Lee County Sheriff's Department and the Captiva Island Fire District, a member of the Captiva Civic Association and she is currently a Commissioner on the Captiva Island Fire Control District. John Bates is truly dedicated to providing exceptional, professional and comprehensive real estate services to his valued clients. As a specialist in Residential, Vacation/Second Home and Waterfront Properties, John delivers an insightful and in-depth assessment of the current regional trends within the communities of the islands of Sanibel and Captiva and the Fort Myers area. 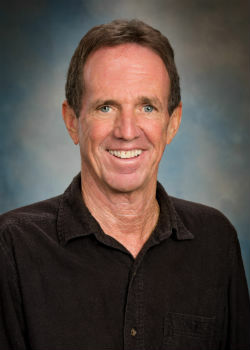 Having resided on Captiva lsland for nearly 40 years, he is very connected with the Islands and truly loves to share his insights into the special life and rich character that each community has to offer! John excels at educating and creating value for his clients and through his extensive knowledge and trusted insights, he delivers a more complete perspective for his clients wishing to purchase or sell a property within the region. He understands and knows the technical and protective regulatory elements and is highly diligent in advising his clients by bringing light to the critical issues that may impact their real estate investment. Whether it’s doing diligence on matters pertaining to the areas of permits and zoning, a review of the contractual points of the transaction or conducting further research to disclose all facts that may affect or influence a property; he is extremely diligent in seeing that his clients’ needs are thoroughly attended to. When consulting with John, you always receive current real estate market knowledge from a professional. John’s clients trust in his integrity, valued perspective and highly personal and diligent approach. Through his thorough, competent and experienced representation he delivers impressive results. Diligent in representing his client’s best interest, he is extremely attentive in providing constant communication about the important details of the transaction and is always accessible and responds promptly to his clients. John readily exceeds his clients’ expectations and is dedicated to providing his clients with an unprecedented depth of real estate expertise and exceptional guidance in his efforts to accomplish their real estate goals! John’s community service and volunteer activities are in the following areas: John has served as the fulltime fire chief of Captiva Island for 25 years. He has been instrumental in working with Lee County on rezoning issues and has helped establish direct land use designations to protect Captiva's natural beauty. He was a member of the Captiva Memorial Library Advisory Board and in the 80's and 90's was on the Board of Captiva Civic Association for two 3-year terms, even serving as president. 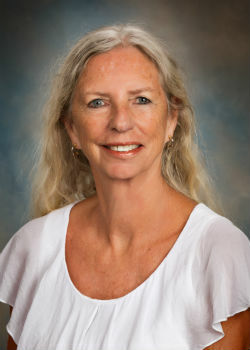 As the Team Administrator since 2001 and a Lee County resident since 1978, Holly Peeples skillfully facilitates the multitude of day-to-day details that ensure that The Bell Team provides the highest level of service to every client. Holly supports the team with her inspiration and drive and designs very strategic and targeted marketing applications that produce outstanding results. She is highly skillful at implementing dynamic marketing campaigns in print, social media and websites. She creates a seamless transaction for all the team’s valued clients, cooperating agents and escrow, financial and legal entities. Being proactive, she is very responsive in meeting all the critical time frames and is exceptionally thorough in providing constant communication and responding promptly with each client and all of the team members. Holly is very astute, ultra-organized, tech savvy and constantly delivers impressive results in attending to all the team’s real estate goals. She is extremely diligent in seeing that every aspect is taken care of so that a successful transaction is achieved. Holly is a college graduate and is truly a dedicated professional who is very passionate about providing each client with an exceptional “Bell Team” real estate experience. Holly is also the co-owner of Island Locksmith, a Sanibel & Captiva Islands business since 1976 with her partner Joe Bowers, they are a “Veteran Owned and Operated” Island business.